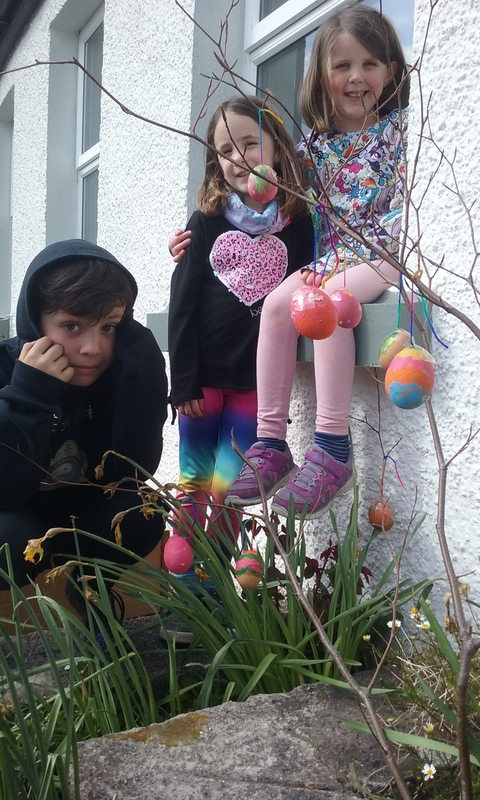 Making our Easter Tree was fun. We blew the yolks out of the eggs first. Then we painted them. Then we hung them up on the tree. They look just like eggs hanging from a tree.